The structures of industries, the economic geography of multinational enterprises (MNEs) and the global configurations of supply chains can be considered to be the three key factors essential to understanding contemporary globalization on a micro-level. In practice, the competitive position of a single nation as a geographic location of value-adding activity and its ability to attract new foreign direct investment (FDI) is a consequence of these behaviors. Hence, it is essential to understand how MNEs plan, implement, position, and execute their strategies in global supply chains and production networks and how these MNEs create value and capture profits in their respective industries and geographies. 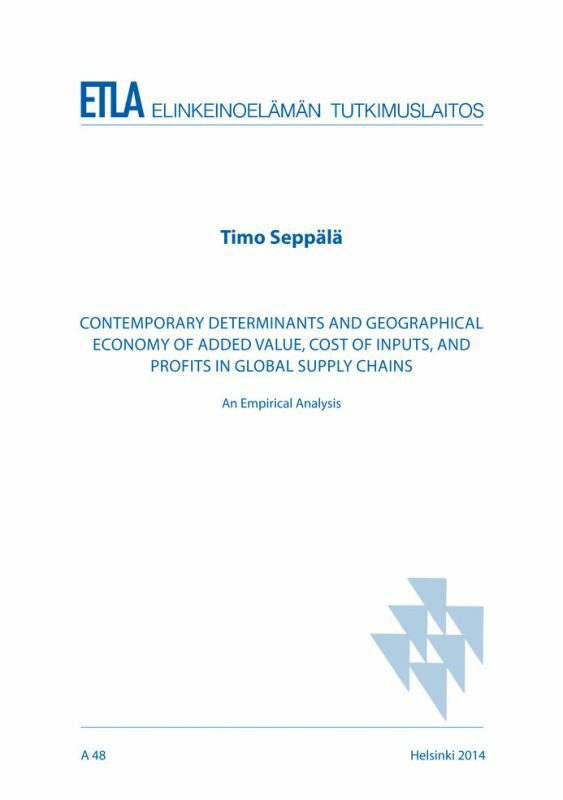 This PhD dissertation is composed of five papers, each of which addresses a specific topic in the research domain of global value chains. Each of the dissertation’s papers analyzes a selected micro-level problem from an industry, MNE, supply chain and/or national economy perspective. That said each of the papers focus on specific case study to explain the relation to the same contemporary phenomenon of globalization to provide a bridge between rich empirical narratives and mainstream research and public policy. The five separate papers that constitute this dissertation use qualitative research methods combined with case studies; hence, qualitative research methods and case studies have seldom been used in economics research. It should be recognized that qualitative research methods and case studies have been used to develop theories on diverse topics. Furthermore it should also be emphasized that the methodology and the datasets for these case studies in this PhD dissertation are unique. The dissertation, including all the specific papers, make a contribution in its academic, business and public policy domain, by addressing factors that have received limited attention in the existing research and contemporary public policy. Furthermore, it is notable that the extant literature is largely silent on interactions between these micro-level mechanisms of contemporary globalization perspectives.